Excel is a really good simple tool for manipulating data, and it has also have a lot of flexibility. For example when a business owners and managers need to structure their processes in order to be more productive they can easily structure the information manage and create formulas that show valuable KPI’s and totals. When more users are involved and data need to be managed in more complex ways then excel is perfect as documentation and as a prototyping tool for complex business system. Because the customer have spent a lot of time, putting their thought into creating their excel document. Trying to get everything to work, it makes it easier for me to build a well working system from that blueprint. And the clients knows exactly what limitations they want to overcome by moving from excel to a complete business system. But an excel document that has been used for a while provide enough input for me to design a good user experience and a flow of input that guides the users through the process. Without the risk of deleting any of the business logic. We can log everything that goes on in the system in order to ensure that no information will ever get lost again. You will get an alert by the system or via mail, if you desire, when you are behind in sales or if a customer has placed an order. And I will create a platform that enhances the communication between you and your customers, because the system will make sure that you never forget a customer request or question again. 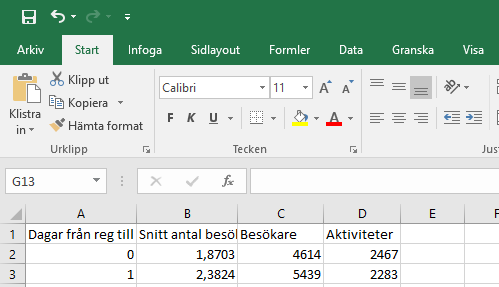 So the big reason why I love excel is that it provides good solid documentation that helps in the communication between me and my clients. It is also the easiest first step to structure and improve management of the ever increasing flow of information that runs through our business today. If you have an excel document that does not seem to bend to your will anymore, then feel free to contact me at jb@front-it.com and I'll tell you if what you want to do is better done in a software system or if there are some easy tricks that can help you stay in excel a little bit longer.